Archive for the ‘ANSI C & C99’ Category. The MIT License applies to this project. Please refer to the file COPYING for details. This is a small framework to implement unittests for software written in C. There are existing projects that offer much more functionality, this one focuses on simple usability and textual output of statistics. Main reason to implement this framework was that cunit was too complicated in usage and no other small free frameworks could be found. A test should be a subfunction or the main function of an appropriate test executable. Wrap the Test with UT_BEGIN() and UT_END() macros for proper structuring. Most commands should describe themselves. It is allowed to start another test for entirely different content with the UT_BEGIN() macro if the last test finished with the UT_END() macro. For quite a long time I’m thinking about simple code generating tools. I don’t want to use a special XML syntax or descriptive language but a simple Excel or OpenOffice sheet instead. The aim is to generated C source code for small microcontroller applications or retrocomputing systems. It is also my first script written in Python and thus not really as tidy and neat as I prefer. But it is working for now. and generates a switch-case style state machine in C with callback functions for state and event handling. A version with support for object oriented programming with pointers to statemachine objects is planned aswell. Check the github for functional updates. Today I stumbled over the problems while toying around with a small C project using the Ncurses library. I recently discovered QT Creator as a decent IDE so I started to use it. The program builds fine and runs with ncurses if run in a seperate terminal window. After quite some googling I found the solution as the environment passed to my application in this way does not define the TERM environment variable. So I added the definition “TERM=xterm” to the list of passed environment variables. Now the Ncurses application runs in its own terminal window. I see the extra terminal window opening but I get a small notice “ptrace: Operation not permitted” and all collapses. Some more googling and I discover that Ubuntu 10.04 and later deactivate the option to attach gdb to running processes. 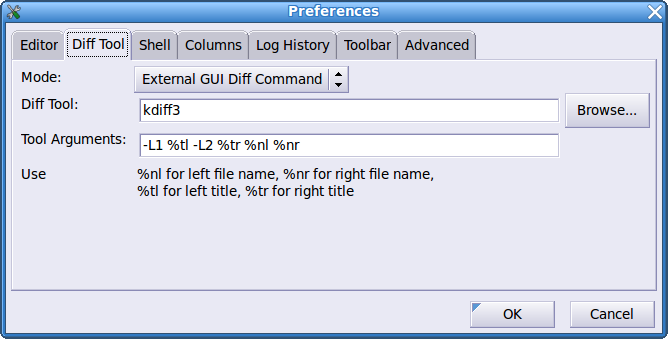 This is something QT Creator seems to try here when running the application inside the terminal window. I simply used the directions found here at AskUbuntu and now it works. I have the application ruuning in a seperate terminal window and I can trace, singlestep and debug it with the gdb frontend from QT Creator. But it only affects debugging Ncurses and maybe S-lang projects. Normal terminal output is fine and so should be SDL based stuff aswell. It is dirty and slight hacky, but all in all it is working. Da Google Code seine Pforten schliessen wird, habe ich die Sourcen für mein Spiel Quadromania nach GitHub umgezogen.Vielleicht arbeite ich ja mal am Projekt weiter, aktuell ist das aber eher unwahrscheinlich. 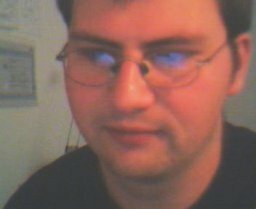 Ich hatte schon vor längerer Zeit eine Toolchaindefinition zur Verwendung des GP2X Wiz GNU Crosscompilers mit CMake geschrieben. Diese möchte ich natürlich öffentlich zugänglich machen. Damit kann man Projekte, die CMake (Was ist CMake?) verwenden, einfacher für den GP2X Wiz übersetzen. Included is the complete history of my sofar local Subversion repository starting with the first public 2009 release. PySVN is a nice graphical client for Subversion. Unfortunately the builtin Diff tools are pretty awkward to use, esp. if the user (like me) is rather well known with Kdiff3. I figured a bit with the settings and now PySVN diffs gracefully with Kdiff3 for me. Gestern habe ich wegen dem stürmisch schlechten Wetter, bei dem man ja kaum vor die Tür wollte, am Nachmittag ein wenig programmiert. Ziel sollte es sein, das alte Spiel Megadash, ursprünglich für den Atari ST in GFABASIC geschrieben, auf PC bzw den GP2X Wiz zu portieren. Ansich ging das ganz gut, binnen 2 Stunden hatte ich die meisten notwendigen Teilmodule in C neugeschrieben, eine Umgebung mit Code::Blocks aufgesetzt, meine ParadizeLib eingebunden und generell auch zum Laufen gebracht. Am Ende des vorigen Nachmittags hatte ich dann das Spiel mit allen Mechaniken am Laufen, wie die Steine fallen, etc. Nur das Timing habe ich irgendwie nicht 100% abgebildet bekommen. Stellen, die im Originalspiel zwar mit Tücken bestückt waren, aber spielbar waren, funktionieren in meinem Port irgendwie nicht mehr. Die Steine erschlagen den Spieler an Stellen, wo man im Originalspiel erfolgreich “um sein Leben” rennen konnte. Ich habe verschiedene Timingparameter angepasst, aber keinen zufriedenenstellenden Zustand gefunden. Entweder ist es immer noch zu schwer, oder viel zu leicht und auch da nicht immer nachvollziehbar. Mal sehen, ob der Fehler noch gefunden wird. Im Moment liegt es jedenfalls als begonnenes Projekt auf der Platte. Im Jahr 2009 habe ich mir ja eine Opensource Handheld, einen GP2X Wiz zugelegt. Natürlich wollte ich dafür auch programmieren. Mit Quadromania war auch irgendwann mein erstes Spiel in C fertig und auch schrittweise erweitert. In Zuge dessen fiel mir dann auf, daß SDL nicht gleich SDL ist. Auch wenn man SDL benutzt, muss man leider gerade was Joystickabfrage angeht immer noch Softwareweichen vorsehen, je nach Target. Beim GP2X Wiz zum Beispiel ist der SDL Joystick zwar vorhanden, aber er bietet keinen Achsenevents, da er digital arbeitet. Also muss man im Code ummappen. Irgendwann dachte ich dann über eine Abstraktionsschicht nach und die ParadizeLib war das Ergebnis. Hier wird grundlegendes Einstellen des Bildschirms über SDL, Einsammeln von Tastendrücken, Joystick und Mauseingabe auf plattformunabhängige Aufrufe gelegt. Das Benutzerprogramm benutzt nur die ParadizeLib, die dann sich danach richtet, ob für einen GP2X Wiz oder eben ein normales Linux compiliert wird. Die ParadizeLib abstrahiert zum Beispiel einen Joystick mit 2 Achsen und bis zu 4 Tasten. Am PC kann das dann ein USB Gamepad sein, am GP2X Wiz ist es aber das Steuerkreuz und die zugehörigen Tasten. Lange Rede, kurzer Sinn, das Projekt gammelte seit 2 Jahren auf meiner Platte rum, und ich dachte mir, bevor ich es vergesse, mache ich es lieber OpenSource und arbeite vielleicht daran ab und an weiter. Wer Spass daran hat, kann sich die Library ja mal ansehen und vielleicht weiter daran entwickeln. Ich stehe gerne für Diskussion zur Verfügung. Irgendwann schreibe ich auch hoffentlich mal ein Spiel, welches diese Library auch verwendet. Interestingly, Keil C51 does not ship with C99 compliant stdint.h and stdbool.h header files. But there is no need to dispair. The stdint.h from SDCC seems to work ok however I personally would not trust the pointer types and widths. However in a context of a 8051 MCU, I’d rather introduce my own data type for pointers anyway due to the different possible memory spaces. A generic pointer will have to carry section information that has to be evaluated at runtime. A special typed pointer won’t waste as many resources.